The G. Loomis IMX-PRO Bass Spinning Rod is perfect for jigging, working worms through lily pads, and fishing shaky head rigs. The IMX-PRO is constructed of high-modulus, high-performance material, and innovative technology. This rod has strategic scrim placement for exact tapers and flex for specific techniques plus a set of Fuji K Frame Alconite ring guides. G. Loomis NRX Bass Spinning Rods feature the best components, from the custom, skeletonized, exposed reel seats to the weight reducing split grips. 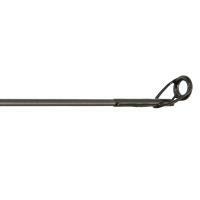 All NRX rods feature a hybrid guide system, a combination of both Fuji titanium-framed SIC and REC Recoil black ion-coated nickel-titanium guides.G. 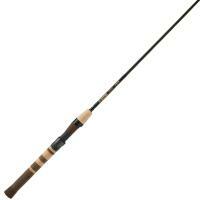 Loomis NRX Bass Spinning Rods are the culmination of what G. Loomis has been doing since day one. Continually striving to build the best rods on the planet. 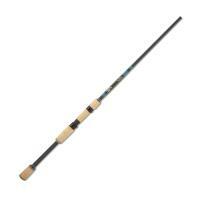 G. Loomis Fiber-Blend Greenwater Spinning Rods are not your normal shallow-water rods, G. Loomis Greenwater Series Saltwater Spinning Rods are high performance casting rods designed to fish in the skinny water where the fish come to eat. 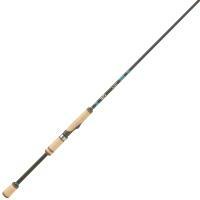 There are a few models here that are designed for bigger fish and a little deeper water. 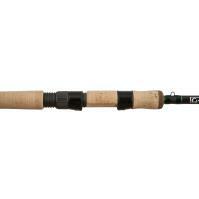 G. Loomis Greenwater Series Saltwater Spinning Rods are all light weight, sensitive and sneaky powerful! 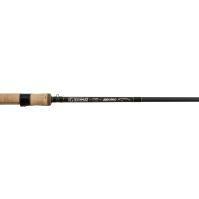 G. Loomis NRX Inshore Spinning Rods are a series of fast and extra-fast, magnum power spinning rods that feature the new nano-silica resin system that allows them to use less material without losing strength. 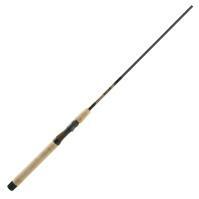 These rods are very light, incredibly sensitive, and stronger than any high performance modulus rod they have ever made. 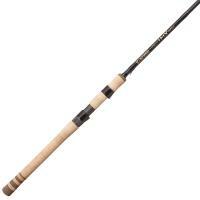 The G. Loomis NRX In-Shore Spinning Rods are the ultimate connection for sensitivity, fish-fighting control and it takes vegetation and heavy cover out of the equation. The G. Loomis IMX-PRO Bass Spinning Rod is perfect for jigging, working worms through lily pads, and fishing shaky head rigs. The IMX-PRO is constructed of high-modulus, high-performance material, and innovative technology. This rod has strategic scrim placement for exact tapers and flex for specific techniques plus a set of Fuji K Frame Alconite ring guides. 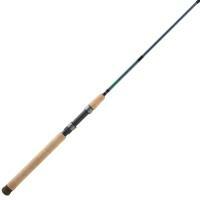 The G. Loomis IMX-PRO Bass Spinning Rod is a perfect blend of advanced IMX technology to provide you with a great fishing experience. 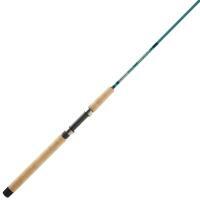 The G. Loomis IMX-PRO Bass Spinning Rod is made in the U.S.A.